Follow the expert! 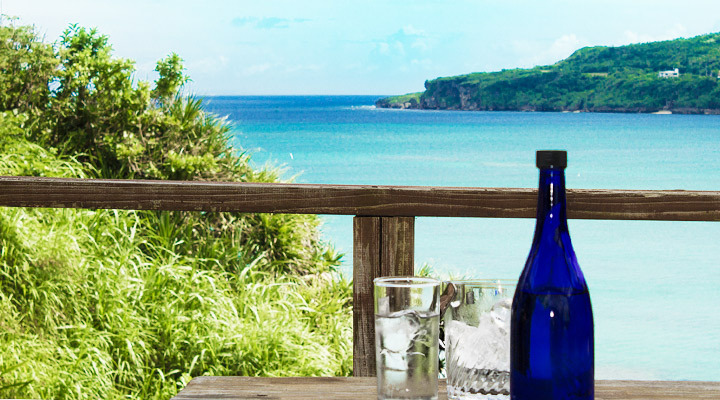 The top 5 hidden beaches recommended! 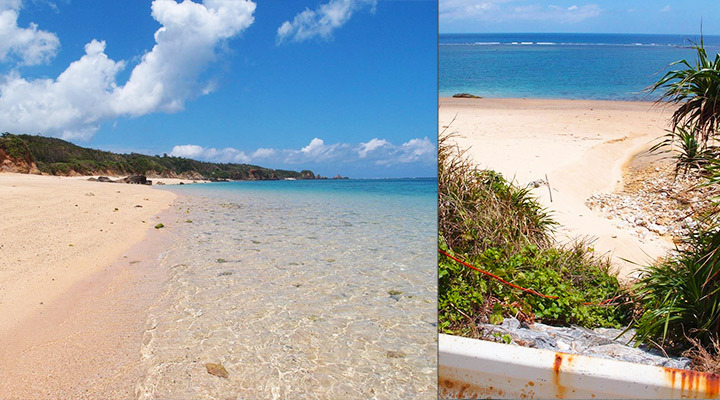 We all know Okinawa has numbers of beautiful beaches, however, most of them can be quite packed sometimes! 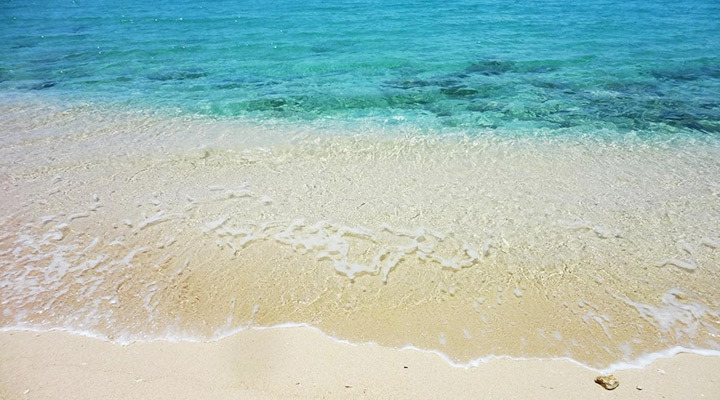 Therefore, we are going to introduce you to some secret beaches. Still beautiful! But just less people! You may find some are not as accessible as those well-known ones, however, you will never regret going once you have arrived and seen the amazing beach! This amazing beach is located on the Northeast side of the main island inside an atoll. 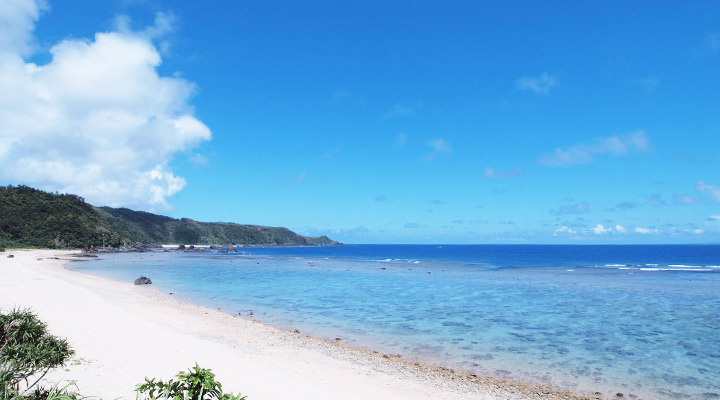 It is a quiet beach with little waves and various types of carol and tropical fish. If you are lucky you may also find clownfish inside the Sea Anemone. There are parkings, toilets and shower rooms, so there is only one advice from the expert, which is remember to bring your swimmers and snorkel gears! 5 minutes away from Adan beach towards Ada by car. Please be careful when you enter the beach from the side of the road as it is not constructed properly and it seems easy to fall over. However, there are ropes tided by previous visitors and the ropes can be used as an aid to go down to the beach. Because it is so hard to get to, therefore it has barely been disrupted and polluted. Recommended for people who just want to have some intimate spaces at the beach! 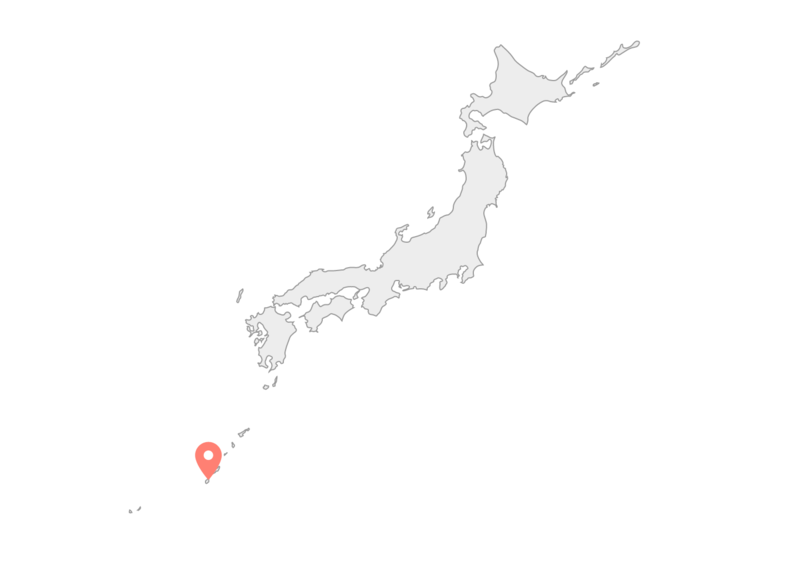 It can be accessed from Kunigami Okuma using Japan national route 58 towards north and connects to Okinawa prefecture route 2. 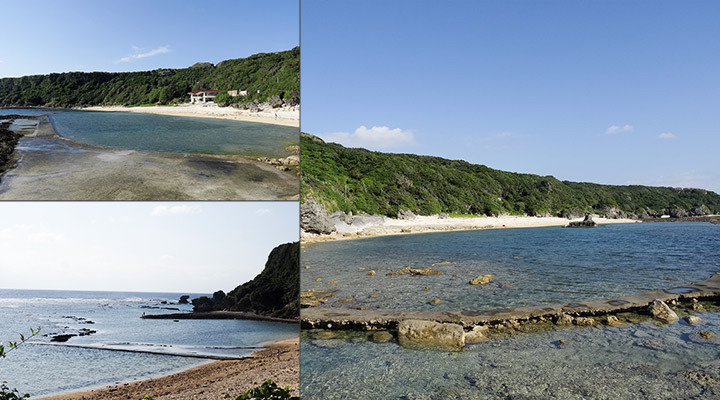 It is a beach near the A-da village passed through the Yanbaru forest. You will probably forget about time here with the stunning beaches and crystal clear sea water. 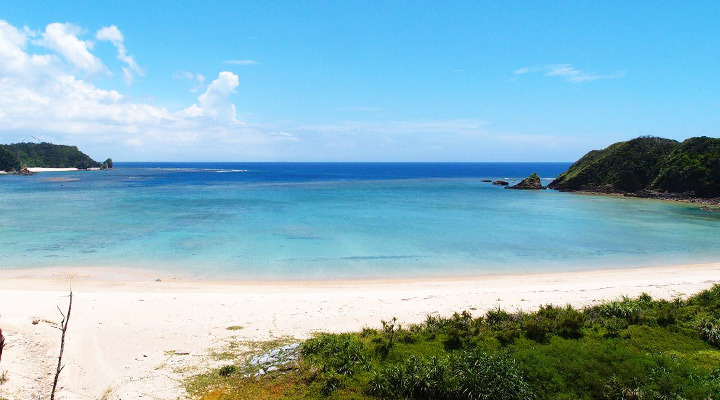 The gorgeous beach is suitable and safe for children as there is no harsh waves. 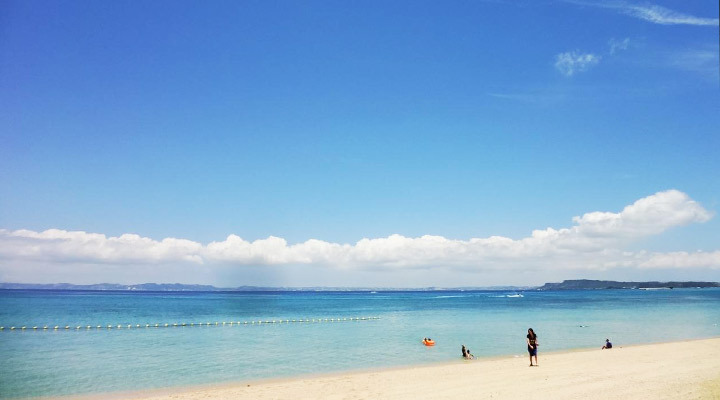 Tsuken island is easily accessible from Okinawa main island and you will be amazed by its incredible white sand beach and emerald green seawater. 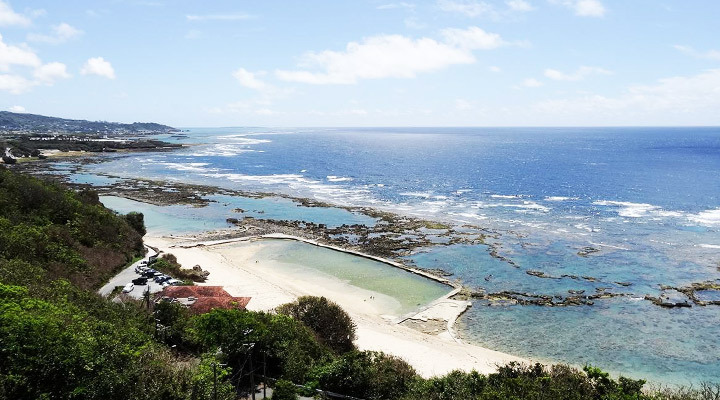 Tsuken Island is only 30 minutes away from Heshikiya Port in Uruma city by ferry, it would be a nice day-trip to be out to the ocean if you would like to take a break from driving. Near the beach there is a hotel with restaurant, so you don’t have to worry about bring your own food or no toilets available. 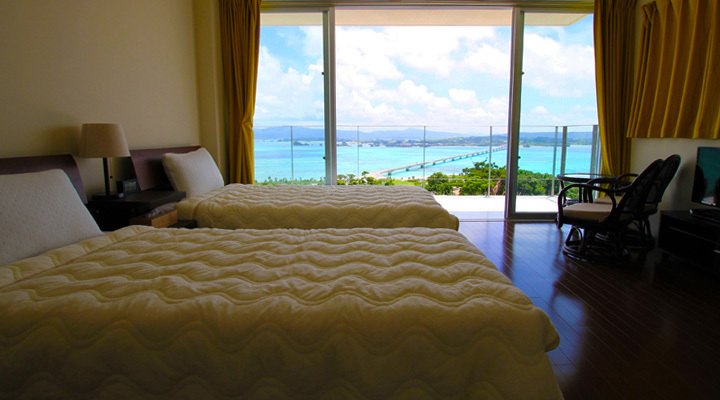 The last one is located in the South of Okinawa, inside The Southern Link Hotel, it is a hidden spot of a hidden spot. 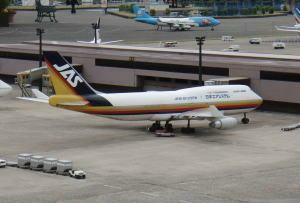 It is only 30 minutes away from Naha by car. In the beach you get to relax as there will probably only be a few locals around and not packed with tourists. 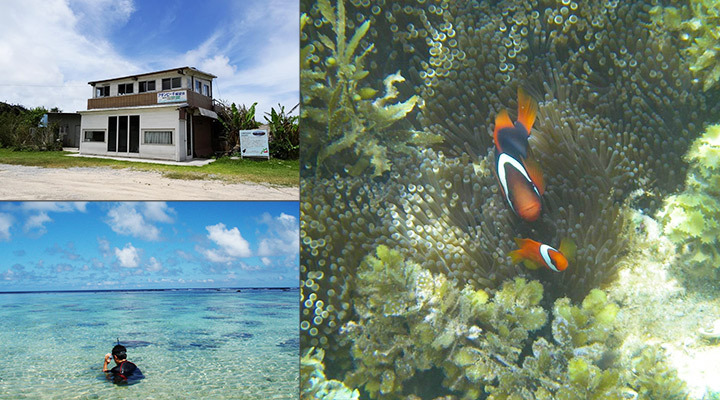 When it is low tides, you get to see tropical fish in the naturally formed pools. It is a beach recommended for family with little children! 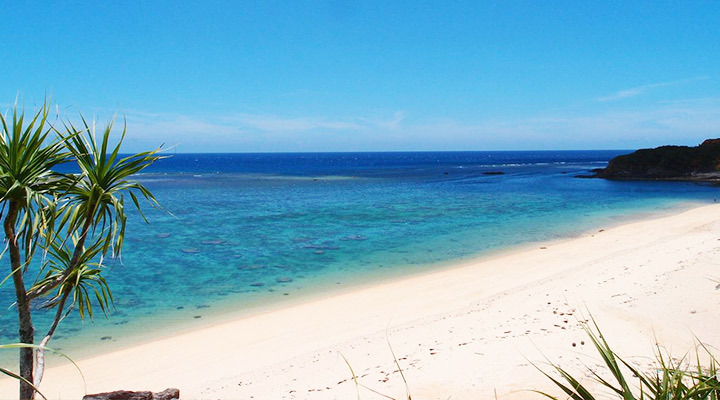 You get to see Ku-uri Island and enjoy the private beach during the stay. Stone oven pizza making experience, BBQ, cooking with native vegetables, snorkeling, diving experience and rental bikes (5 bikes available). 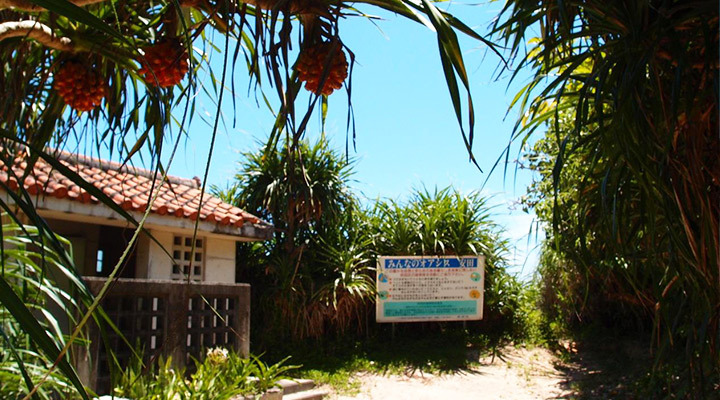 This hidden guest house is located in Koishima, also known as Kouri island with limited number of rooms. From here you get to see the Kouri bridge and the ocean. It is a traditional Okinawa house with red rooftop and you get to enjoy the blue sky and the beautiful nature surrounding it.